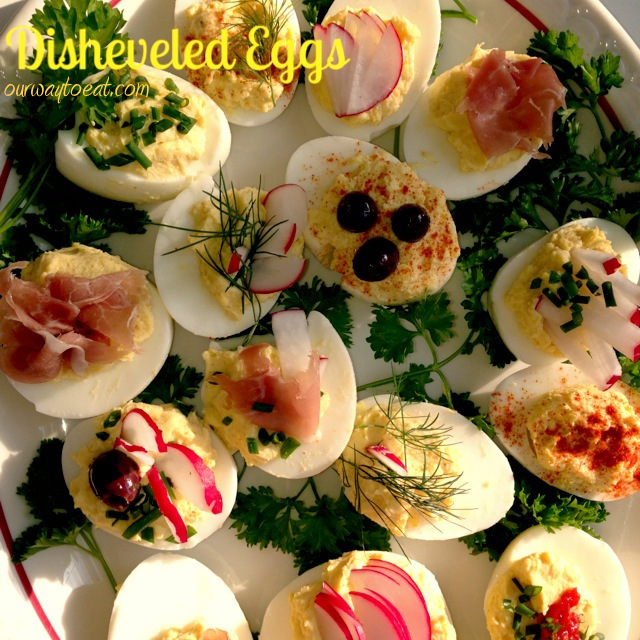 This entry was posted in Appetizers, Classic, Farmer's Market, Organic and tagged Amateur Gourmet, Canal House, caviar, Chives, deviled eggs, dill, Disheveled eggs, fixing deviled eggs, hors, James Beard, parsley, Prosciutto, rooster sauce, shallot, Smoked Salmon, Sriracha by Our Way to Eat. Bookmark the permalink. That is the most beautiful plate of deviled eggs I have ever laid eyes upon! I very much enjoyed reading your post.